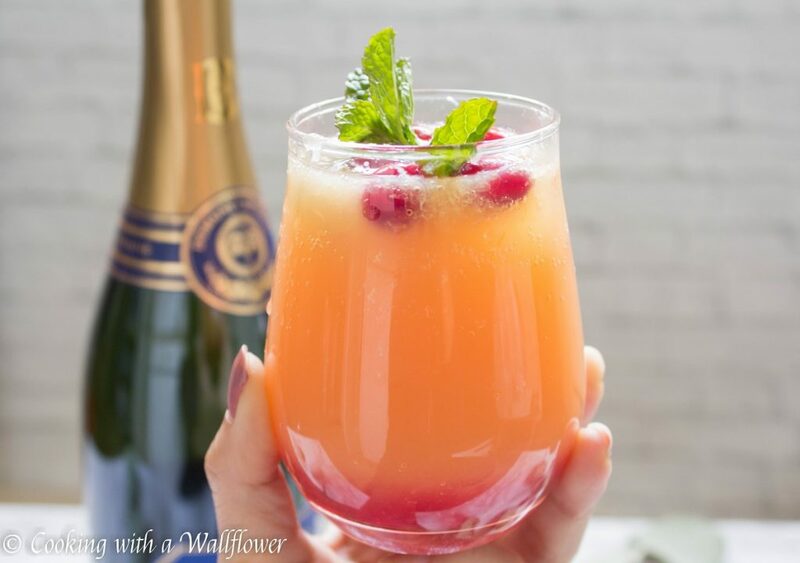 Classic mimosas made of fresh orange juice and sparkling champagne with a touch of cranberry simple syrup. These cranberry orange mimosas are a great way to welcome in the new year. I hope you’re in the mood to celebrate some more! 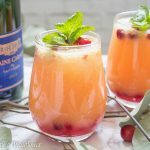 I thought if you have any leftover champagne or sparkling wine, you can use them in these cranberry orange mimosas. Simple to make and perfect with your breakfast, it’s exactly how I would love to start the new year. Did you end up going out to celebrate? Or did you host a party for family and friends? Or maybe you just wanted to stay in bed and watched the fireworks on tv? I was the latter. Nothing exciting. But that’s because I don’t really love the crowds and crowds of people or struggling to find a way home after the revelry. We already have exciting things planned for early 2018. Las Vegas for my cousin’s bachelorette party end of January, my cousin’s long awaited wedding in March, and then I’m finally going on vacation in April to Philadelphia. Soooo excited for all the things to come! Hope your new year is filled with exciting new things too! 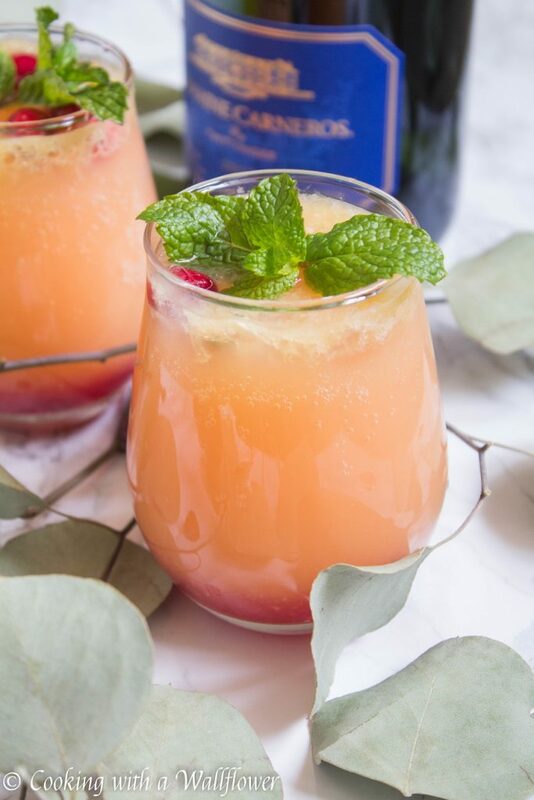 In the meantime, let’s welcome in 2018 with these super easy to make cranberry orange mimosas. Cheers! Pour orange juice into a glass. Add two to three tablespoons cranberry simple syrup. And top the glass with champagne or sparkling wine. Garnish the cranberry orange mimosas with mint and fresh cranberries. 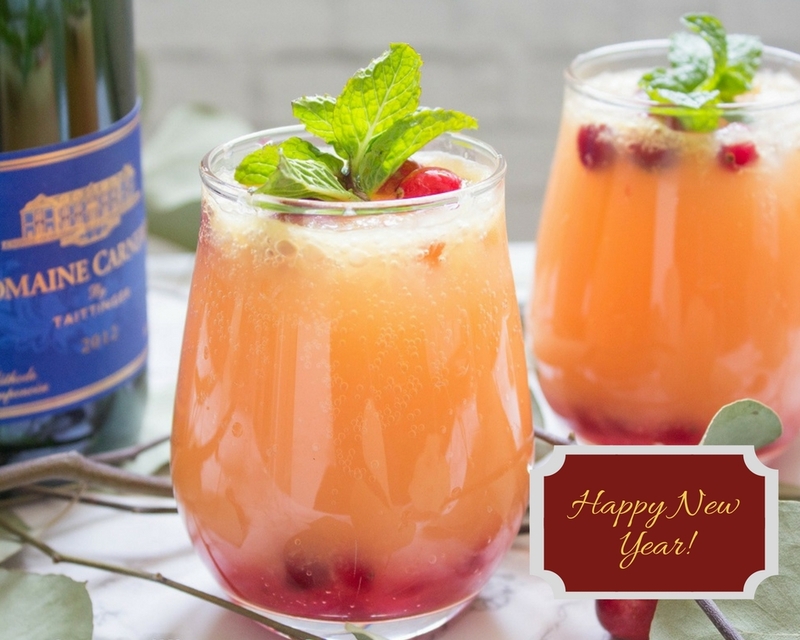 This entry was posted in Beverages, Cocktails, Gluten Free, Holidays, Quick and Easy, Recipes, Vegetarian and tagged beverage, cocktails, gluten free, quick and easy, vegetarian. 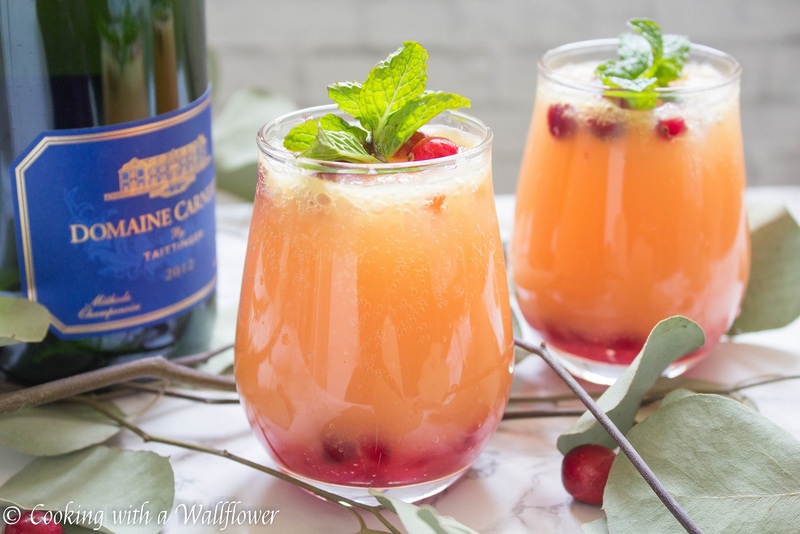 So I just recently learned about the idea of a cranberry mimosa. (My brother’s girlfriend’s family has them on Christmas morning) I think it’s a genius idea, and I am embarrassed that I haven’t tried one yet. Wow these look so beautiful and delicious! Happy New Year! Happy New Year, Andrea. Best to you, your family, and your fantastic blog. 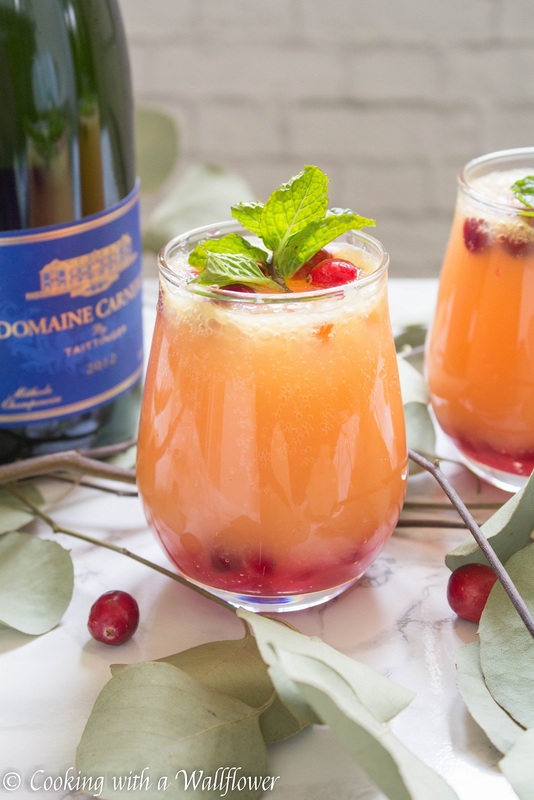 In the UK we call orange juice with champagne ‘Buck’s fizz’ but I had never thought of adding cranberry syrup. My personal favourite is home-made sloe gi (or sloe brandy) with champagne / cava / prosseco.